Arnfinnur Amazeen graduated in Fine Arts from the Iceland Academy of the Arts in 2001, obtained a masters degree in Fine Arts at Glasgow School of Art in 2006 and is now the third artist to exhibit in Gallery D at Hafnarhús, a space meant for up-and-coming artists who haven’t exhibited in major galleries before. His exhibition ‘Subselves Mean Well’ focuses on the repetitiousness of modern everyday life and the inconsistent role of the person living it. 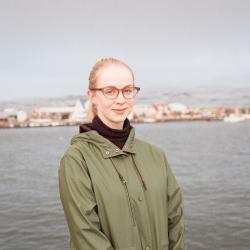 An artist talk with Arnfinnur will be held May 19 at 18:00 at Hafnarhús. The exhibition opens Today at Hafnarhús. Admission is 1,500 ISK.